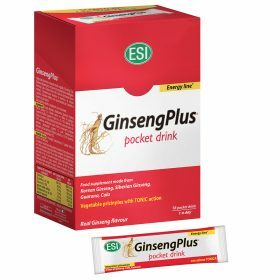 Ginseng supplements that boost energy and brain function - ESI S.p.A.
Ginseng Plus is a line of products with a rich and balanced formula. It’s a natural remedy for fatigue due to overexertion and stress. It’s rich in natural elements that are toning and adaptogenic (Ginseng, Cola, Guarana) which is useful during moments of physical and mental fatigue. 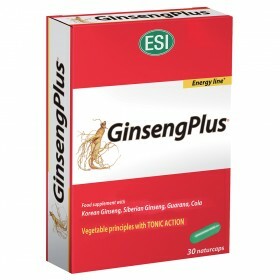 Ginseng plus contains Creatine and Vitamins C and E. This line of products uses all of the energetic and restorative properties of Ginseng in order to help you regain your energy. Available in pocket drinks with a real Ginseng flavor or in capsules. This product is ideal for reducing tiredness and fatigue during seasonal changes.